The smoke from the open fires made up with fungi or dry rot protected the aborigines of northern Scandinavia as well as their reindeer from the mosquito plague. 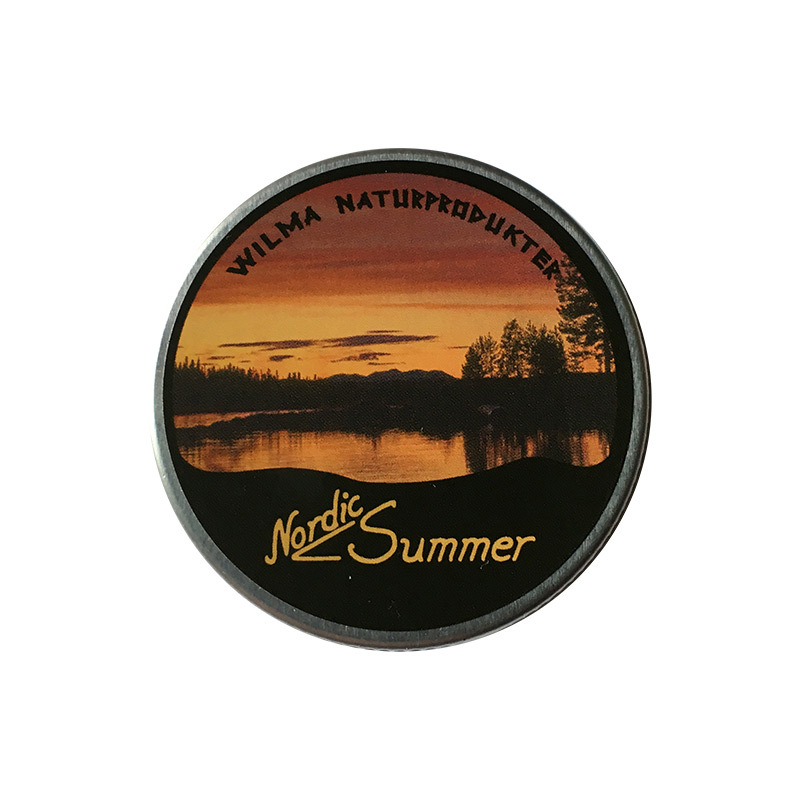 Later "Beckolja" was produced and later still in the mid 40's we got "Djungel Oil" Wilmas Nordic Summer is a "historic" mixture of the effective ingredients of all of these and is a powerful and lasting protective against mosquitos and gnats. "This really does work well and I love the idea of using traditional ingredients as apposed to modern day chemicals. The smell reminds me of cough medicine but is by no means an unpleasant smell (I love it!) Comes in a handy size tin which easily fits into a side pocket of you pack and unlike some insect repellants that come in a bottle there is no danger of it bursting and leaking onto your kit." Advantages: Traditional ingredients, no chemicals so less harmful to environment (and your skin!) Handy size tin, no danger of spillage. Disadvantages: Keep it out of direct sunlight otherwise it "melts" in the tin. 30g paste supplied in screw cap tin.